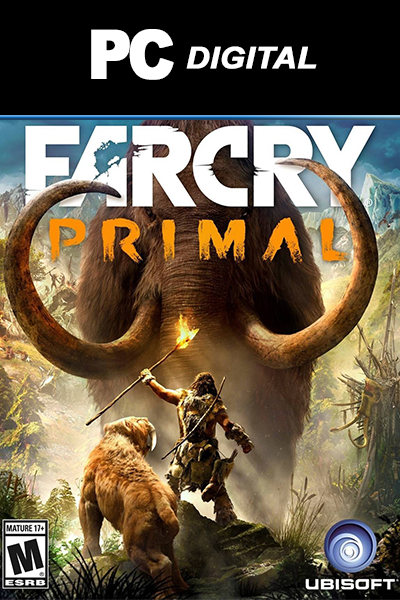 Far Cry: Primal PC product is a digital code, once bought, the code will be sent to your email or can be downloaded directly from your screen. These codes are original and produced by the developer.These codes have no expiry date. To order Far Cry: Primal we have kept as simple as possible. Within minutes you will have your desired game in your home. All you have to do is fill in your details, select a payment method and complete the payment. It's as easy as that! The code will appear directly below your screen and sent within minutes to your address so you have a copy. Livecards.eu likes to make things easy for you! How to buy Far Cry: Primal PC? Buying Far Cry: Primal PC from Livecards.eu is as easy as 1 2 3! Simply fill in your email address, select a payment method and complete the payment! We have some of the cheapest Far Cry: Primal PC on the market.